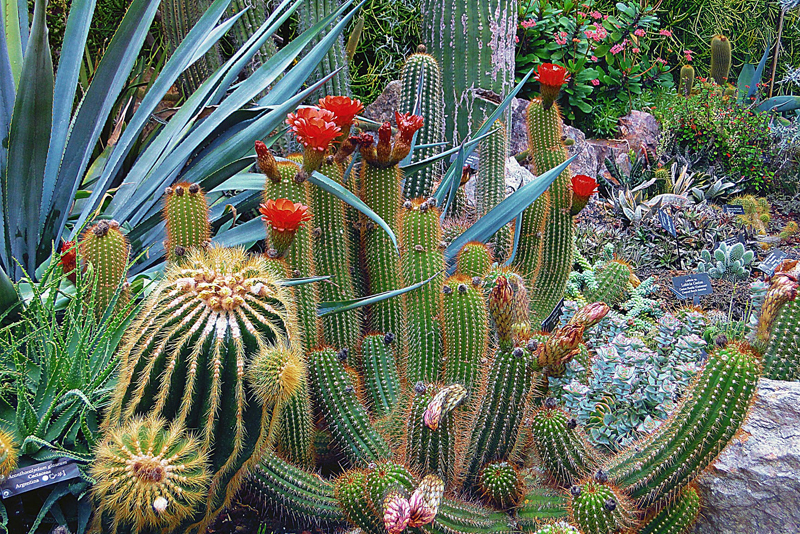 Texas A & M University Press has released a delightful book on cacti. “Texas Cacti” is by Brian Loflin and Shirley Loflin. This cacti field guide is part of the Texas A & M Nature series. It features over 150 cacti that are found not only in Texas but in other areas of the Southwest. This is flexbound with flaps. It has over 480 color photos by the authors along with over a hundred maps. The lush photos do justice to the exquisite plants. There are close-up shots of the flowers, spines, and other features of each species. For ID purposes, there are inch and metric rulers printed on the inside flaps. This title can serve as a wonderful introduction to the world of cacti. This provides all the basics on this subject. It answers all the questions one might have about the plants, including a definition of cactus. It is especially good for beginners because it explains all about the different features found in the cactus family. This title is jargon-free. All technical terms are explained in the text and the glossary. This also has helpful charts with details on all the individual plant parts, such as spines and stems. Color photos illustrate examples of the different spine arrangements, seeds, and other plant features. There are full page photos of each profiled species/variety. Drawings indicate the plant shape and bloom time. For quick reference, check out the genera listing with descriptions of the major genera or groups of cacti. The authors give details on the different habitats and ecological zones in which the cacti are found in Texas. Readers can also learn about which species are considered to be endangered or threatened. This is indicated by a symbol on the margins of the pages. The authors also provide information about all the animals that are part of the cacti habitats. These include insects, birds, and snakes. With this easy to use guide, no botanical key is needed. The plants are organized by stem shape. Just use the stem symbols that appear along the margins of the color-coded pages. The section on plant anatomy explains the different features that can be used when identifying cacti. For each cacti, this gives the Latin and common names. It provides in-depth information on the color, shape, and size of all the spines and wool. There are full descriptions of the flowers, fruits, and seeds along with information on the flowering season. The authors give details on the habitat of each species, including the elevation. A range map shows the county/counties in which it occurs. This also gives other common names, Latin synonyms, and similar/look-alike species. The appendix has a helpful list of Latin synonyms, which indicates whenever a plant is known by other Latin names. There is a bibliography of recommended references. A map of Texas shows all the counties. The Loflins, who are renowned writers and photographers, are the authors of other nature titles. Their photographs can be found in a number of magazines, particularly nature and outdoor titles. They also teach nature photography workshops.